Every year the Florida legislature debates proposed bills that might expand or limit lawful gun owners’ rights within the state. This year, many of the proposed bills have to do with expanding where an individual can openly or concealed carry a firearm. If you are currently or potentially a gun owner in Florida, it is important to keep up to date with how your rights may change by the middle or end of the year. If you are charged with violating a current (or new) gun-related law, you could be facing a felony that would revoke your right to own a gun entirely. You should work with a Kissimmee criminal defense lawyer from Salazar & Kelly Law Group, P.A. 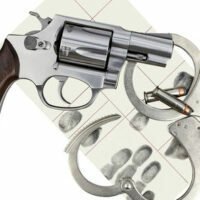 to learn about your rights during the criminal process and how to best defend yourself. Open and Concealed Carry: Senate Bill 140, which has been broken down into a number of related bills, would enable individuals with concealed weapon permits to openly carry handguns and openly carry these handguns into school, airports, career centers, and local and state government buildings and meetings. Firearms in Theaters: Senate Bill 170 would prohibit openly carrying or carrying concealed weapons in performing art centers or theaters. This would simply amend the law that already lists prohibited places for weapons and firearms to include theaters. Firearms in Courthouses: Senate Bill 616 would enable individuals with concealed carry permits to bring their guns into courthouses by temporarily surrendering their guns at a security checkpoint. Under the law, individuals would need to immediately go to security upon arrival and follow personnel’s instructions. Firearms in Airports: Senate Bill 618 and House Bill 6001 would get rid of the current prohibition on carrying concealed weapons by permit holders into passenger terminals and non-sterile areas of airports located outside of security checkpoints. Conceal-Carry Permit Holder Protection: Senate Bill 646 would protect people with concealed weapon permits from being arrested or charged with a crime if they temporarily and openly display their firearm to other individuals. It would reduce the penalty for violations of certain specific provisions related to openly carrying weapons, like firearms, making it a fine payable to the court clerk. Additionally, this bill would enable all Florida Cabinet members who have a concealed carry permit to their firearms anywhere not prohibited by federal law. Criminal Penalties for Showing a Firearm Near Schools: Senate Bill 648 would increase the statutory punishment for individuals who display a dangerous weapon or firearm on or near school grounds or a school-sponsored activities in the presence of at least one other person. This bill also creates criminal penalties if a gun is discharged when obtained by a minor. Stand Your Ground Law: Senate Bill 128 and House Bill 245 would move the burden of proof in a criminal case in which a defendant is claiming immunity under Florida’s “stand your ground” law by requiring the prosecutor instead of the defendant to prove at a pre-trial hearing why the defendant should not be granted this immunity. Instead of the defendant proving that he or she should receive immunity, the state will need to prove that he or she should not. It is not uncommon for states to amend gun laws from year to year. However, some of these proposed bills would lead to major changes for individuals. If you charged with a firearm-related crime, contacted the experienced Kissimmee criminal defense lawyers of Salazar & Kelly Law Group, P.A. at 407-483-0500.